Abstract. Starting Strong in Kindergarten (Starting Strong) is a school-based indicated prevention targeting behavior problems, student–teacher relationships, and parent–school connectedness for children with or at risk for disruptive behavior problems during the transition to kindergarten. By use of a blockrandomized, controlled trial to test program feasibility and efficacy, seven schools (representing 33 kindergarten classrooms and 97 children, 74% of whom were boys, 57% of whom were White, and 38% of whom were English language learners) were assigned to the immediate-intervention versus delayed control condition. A 10-week parent group (offered in both English and Spanish) and four-session teacher group consultation program addressed strategies for promoting positive behavior, student–teacher relationships, and parent–teacher collaboration. Feasibility was supported by high parent and teacher attendance, engagement, and satisfaction. The intervention had effects on overall parent- and teacher-reported behavior problems, as well as on parent-reported externalizing problems and parent- and teacher-reported internalizing problems, although not on a teacher-reported externalizing problems scale. Implications for sustainable, school-based mental health interventions are discussed. The transition to kindergarten may be a particularly apt time to address behavioral and relational adjustment in school. Abstract. Black students are issued school discipline sanctions at rates higher than members of other racial and ethnic groups, underscoring the need for professional development that addresses this gap. In 86 secondary school classrooms, a randomized controlled trial examined the effects of a 2-year teacher-coaching program, My Teaching Partner Secondary (MTP-S). 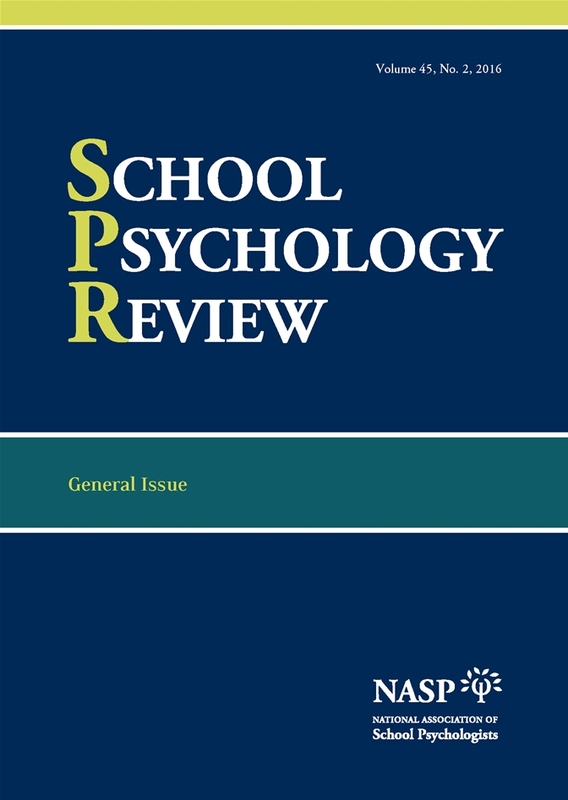 Results from the second year of coaching and from the year after coaching was discontinued replicated previous findings from the first year of coaching—intervention teachers had no significant disparities in discipline referrals between Black students and their classmates, as compared with teachers in the control condition, for whom racial discipline gaps remained. Thus, MTP-S effects were replicated in the second year of coaching and maintained when coaching was withdrawn. Mediational analyses identified mechanisms for these effects; Black students had a low probability of receiving disciplinary referrals with teachers who increased skills to engage students in high-level analysis and inquiry. Abstract. Teachers’ social interactions with children are a salient aspect of the classroom environment. An emerging line of research suggests teachers’ emotional support consistency is an important predictor of children’s academic and social outcomes. Yet individual differences determine the contribution of classroom affordances to children’s adjustment. Adaptability describes a child’s propensityto perceive and respond to changes in the social environment. Less adaptable children experience change as stressful and tend to be at risk for poor classroom functioning, perhaps more so in classrooms characterized by low levels of emotional support consistency. Multigroup analyses were performed in a structural equation modeling framework to assess the contribution of adaptability assessed in infancy to third-grade achievement and social skills in low- and high-consistency classrooms. Observations of 959 children in 805 third-grade classrooms, direct child assessment, and teacher ratings revealed that adaptability predicted a range of social skill and achievement measures in third-grade classrooms that offered low levels of emotional support consistency. Findings are situated in a goodness-of-fit model.